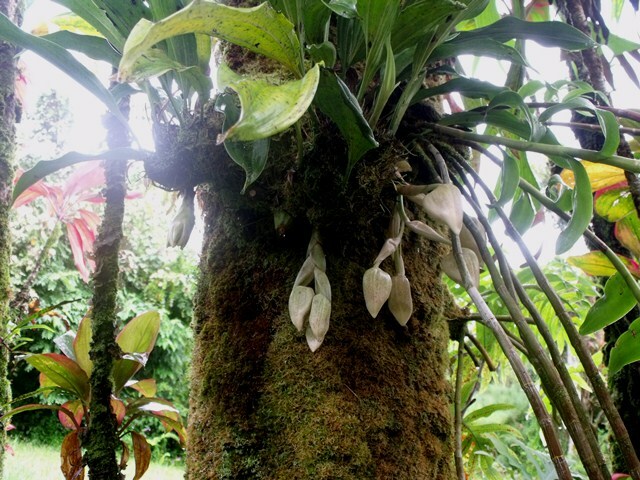 We have a Stanhopea orchid growing on the side of one of our palm trees which has been blooming its head off this year. Right now it has 3 sprays blooming sequentially. A strong chocolate peppermint fragrance spills from the open flowers and drifts across the garden. Below you can see the sprays almost ready to bloom and then fully open. These amazing flowers have a very short bloom time so you have to be quick if you want to see them. Usually it's the strong fragrance that draws you in as you walk past. Most people grow them in hanging baskets as the flowers are pendulous but as you can see they grow beautifully on trees, too. 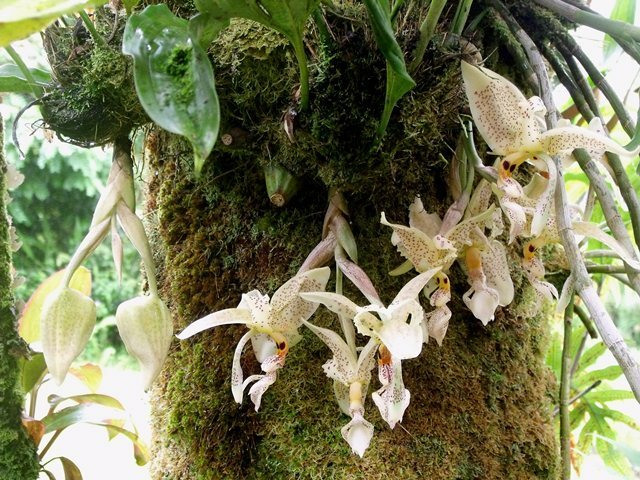 Check out our book Growing Orchids for tips on mounting orchids in trees and on slabs.